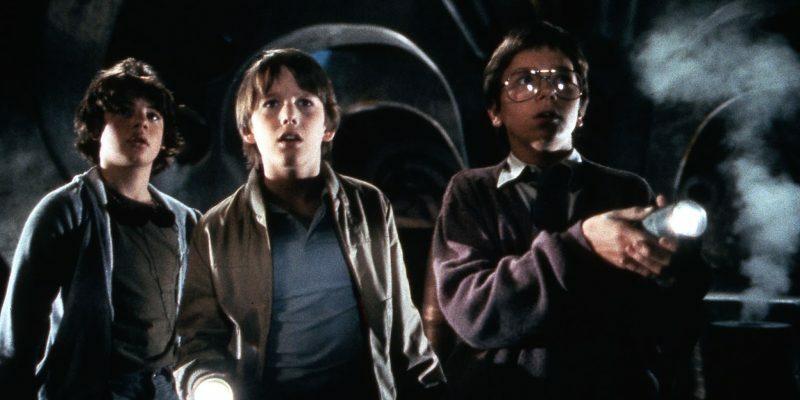 Joe Dante’s Explorers marks the big screen debuts of two future stars, Ethan Hawke and River Phoenix, who, along with Jason Presson, make up the three young boys with a thirst for adventure and scientific exploration. In their dreams, the boys have a connection to a circuit board that they eventually use to build their own little hovering spacecraft, thanks to the help of a strange spherical energy capsule in which they place an abandoned tilt-a-whirl carriage that they use their computer to control. The makeshift spaceship gets them into all sorts of adventures, before culminating in a close encounter with aliens in outer space.